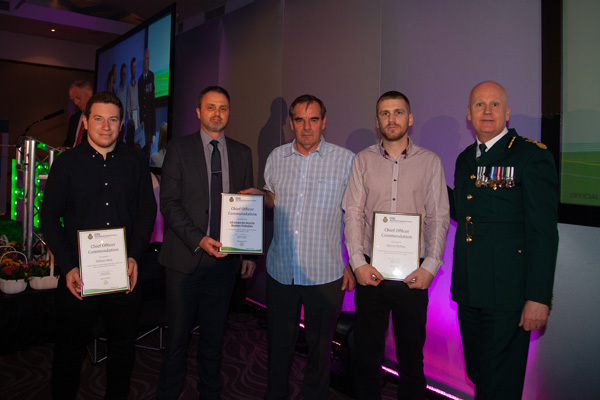 Whitley’s Corporate Security and Business Protection (CSBP) team has been recognised for its swift and professional emergency medical response by the West Midlands Ambulance Service (WMAS). “We would like to commend this Jaguar Land Rover team for their fast and brave actions,” he said. “We know that your colleague Paul Wagstaff suffered a cardiac arrest, but thanks to the quick and calm actions, and training of your officers, a life was saved. 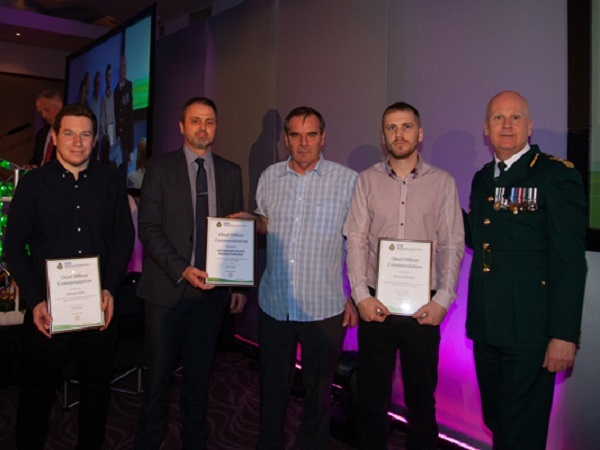 Gary Phillips, Corporate Security and Business Protection Manager, who accepted the award on behalf of the Whitley team, explained what happened that fateful night. “They quickly assessed his airways, conducted a finger sweep of his mouth and administered CPR. He was successfully revived using the defibrillator that all our teams carry as part of their kit. At the same time, they contacted the ambulance service, made the area secure, and ensured the responding WMAS crew were able to get to the location quickly. Gary adds that the actions from Murray Phillips and William Allen from Powertrain also made a crucial intervention having found Paul lying outside. They contacted the security team immediately, and was administering CPR when the team arrived. Dean Jones, who heads up the Whitley CSBP team, says they focus on having the best training available for their crews to ensure each team possesses the right skills. “We are always here to protect our Jaguar Land Rover colleagues and this was an excellent example of what we can do.